US market leader of life reinsurance software solutions TAI releases prevailing data extract tool, CONNECTOR. 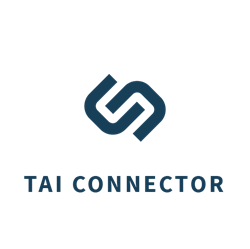 The launch of Connector is an incredible milestone for TAI. From a market perspective, the need for data quality, analysis, and collaboration of reinsurance data has been escalating. TAI (Tindall Associates, Inc.) the U.S. market leader in life reinsurance software solutions announced the launch of CONNECTOR, one of two newest offerings from their suite of products. The company, with over 30 years of experience, prides itself on delivering reliable software solutions to automate life and annuity reinsurance processing while ensuring timely and accurate electronic data exchange. CONNECTOR is an intuitive, self-service data extract tool that enables individuals to fully utilize and unlock the value of their reinsurance programs within the TAI Reinsurance System. Minimal expertise in SQL or understanding complex table structures is required, allowing users to query the data, create custom extracts and securely transfer data to external parties and feed internal peripheral insurance systems without the reliance on traditional IT support. “Connector is a simple and powerful tool to extract the value of the data stored in the TAI system”, says President & CEO of TAI, Tom Freitas. “The use of Connector will eliminate the Easter Egg hunt for quality data within any organization”. Data security is essential within the insurance industry. CONNECTOR uses dual authentication, point-to-point encryption, and file encryption in a SSAE 16 approved environment, allowing users to have utmost confidence in the secured transmission of data delivered in standardized CSV, XLS, PDF, and XML formats. Mitch Ocampo, EVP and Product Development lead of TAI adds, “the launch of Connector is an incredible milestone for TAI. From a market perspective, the need for data quality, analysis, and collaboration of reinsurance data has been escalating. This is our response to what we’re seeing in the market”. CONNECTOR is available to insurers and reinsurers receiving and transmitting TAI data on a one-time license, set up and annual maintenance basis. To learn more about the benefits that TAI CONNECTOR offers, visit http://www.taire.com/connector or contact TAI at info(at)taire(dot)com for additional information. Based outside Chicago, TAI offers a complete suite of software solutions for life insurance companies to self-report all their reinsurance information; assumed, ceded or retroceded, in an electronic format to share with trading partners on a cost-effective basis. With over 30 years of experience, TAI has over 100 active licenses representing 96% of market share of the top 50 ceding insurers in North America by premium volume.